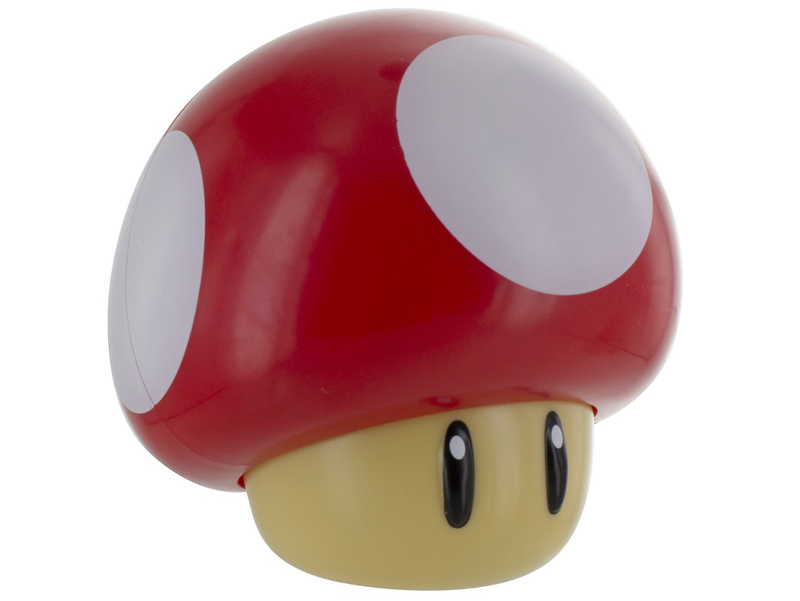 Anyone who used to play any of the Super Mario games will recognise this cute Nintendo gadget. 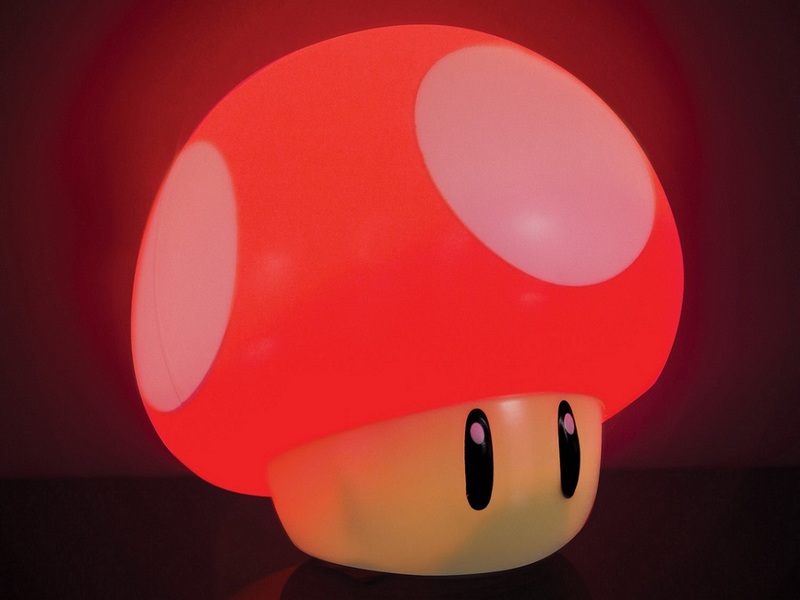 The iconic Toad mushroom character with its cute little eyes has now been turned into the perfect kid's room nightlight - glowing with a reassuring soft glow. Nice little detail: when you turn it on, it makes that characteristic Power Up sound. 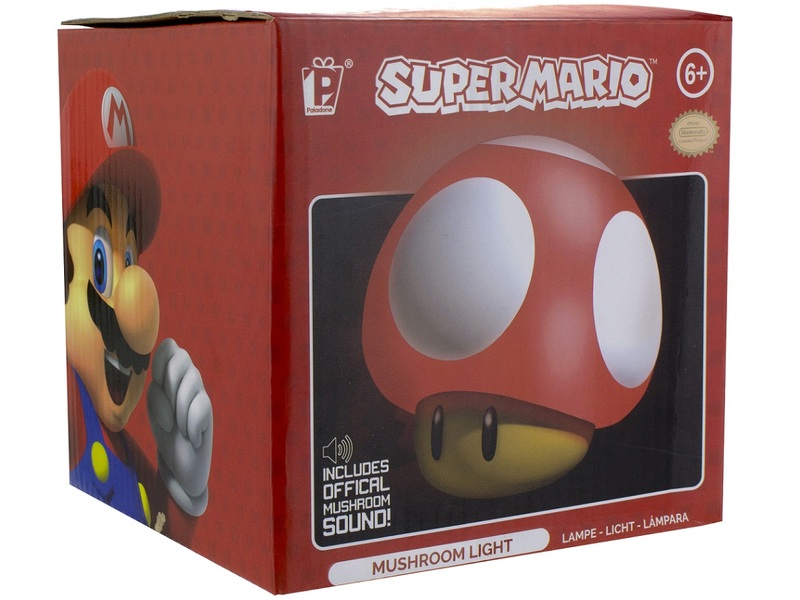 Please note: one of the side effects of the Toad nightlight is having Italian plumbers burst into your home from time to time. If this happens, stay calm and explain to the plumber that the princess is locked up in a different castle, and that he is not to jump on your new light!